Helping you reach challenging demographics. Teenagers are a valuable demographic in the financial services industry. Attracting a customer that early can lead to a life-long relationship. However, getting teenagers interested in financial products can be a challenge. So when Altura Credit Union wanted to promote their young-adulg focused iChecking accounts to this demographic, they asked Echo-Factory for help. 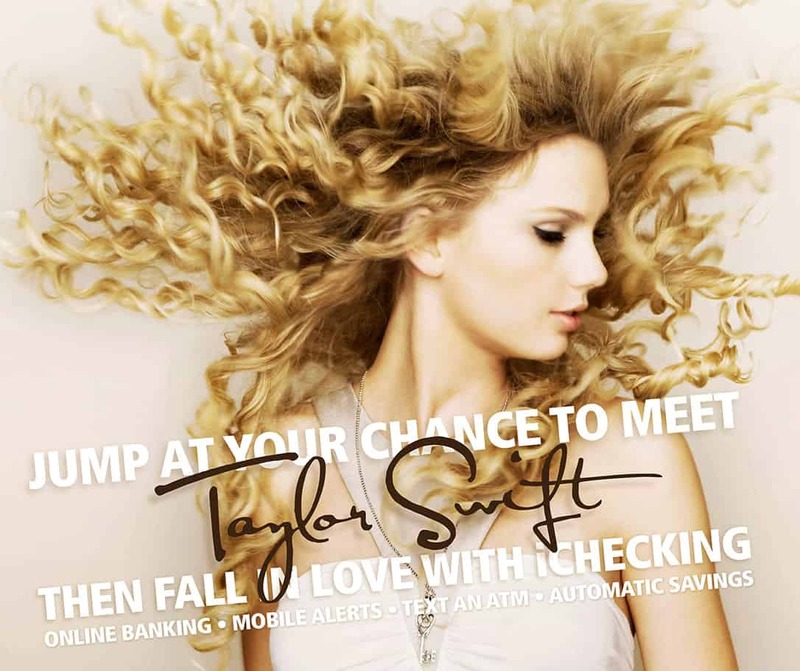 As Altura launched their iChecking, Taylor Swift was selling out stadiums across the country on her Fearless Tour. We put two and two together and developed a contest sponsored by iChecking that let one lucky contestant meet Taylor Swift backstage at her Staples Center concert. The contest, and iChecking accounts were promoted with a cross-media radio, billboard, digital and direct mail campaign. The promotion was a complete success. Thousands of people in Altura’s target demographic entered the contest and developed a relationship with the credit union. And, with the support of the promotion the credit union met and surpassed their goals for iChecking account signups. The next year, the campaign was even selected for a “best of show” award by the Marketing Association of Credit Unions.